Three snowmobilers were riding in Onion Basin just south of Eaglehead Mountain in the northern Gallatin Range on January 1, 2014. 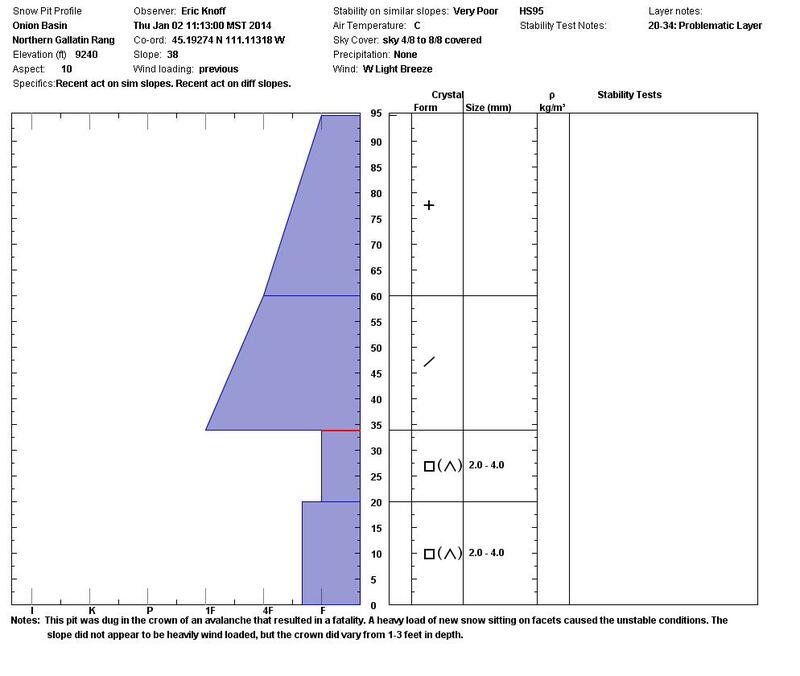 They accessed the area by the Portal Creek drainage. 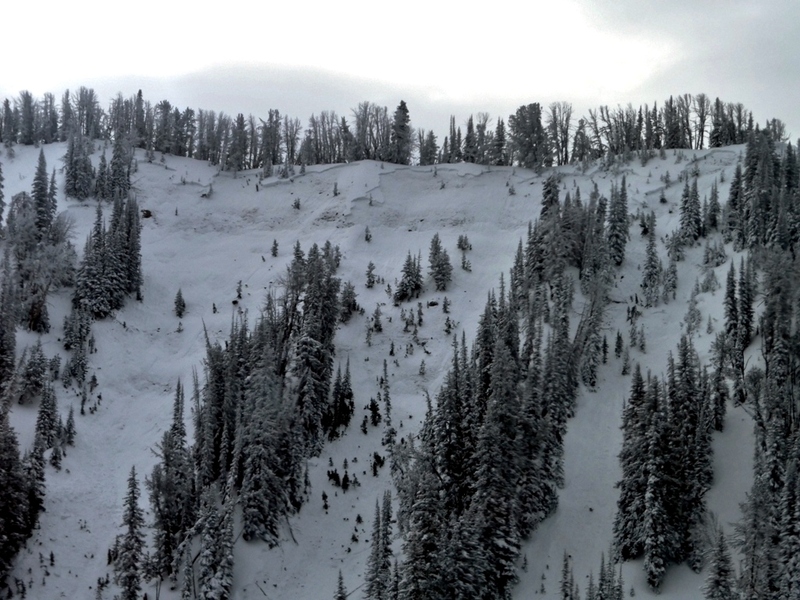 One snowmobiler became stuck and separated from the other two while in Onion Basin. 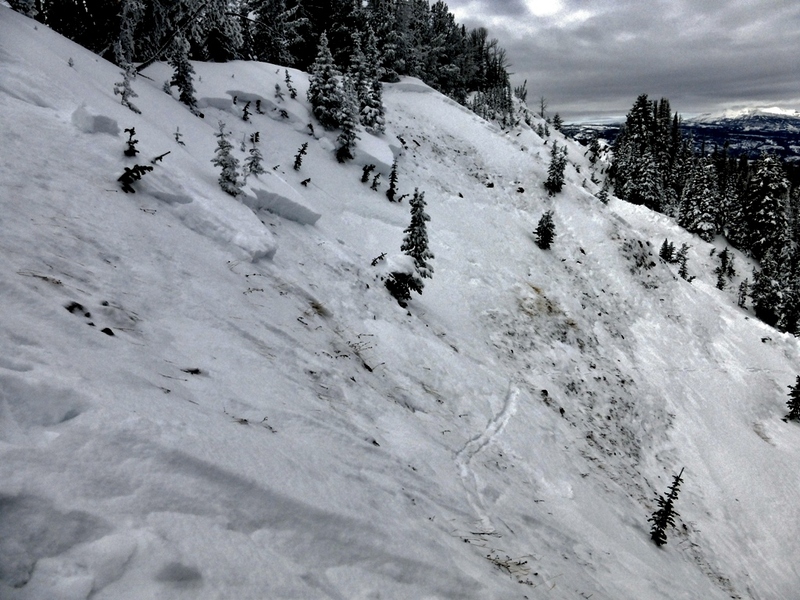 These two traveled under a steep slope where they triggered and were caught in an avalanche that released from above. One was partially buried. The other was fully buried for 30 minutes or more and did not survive. 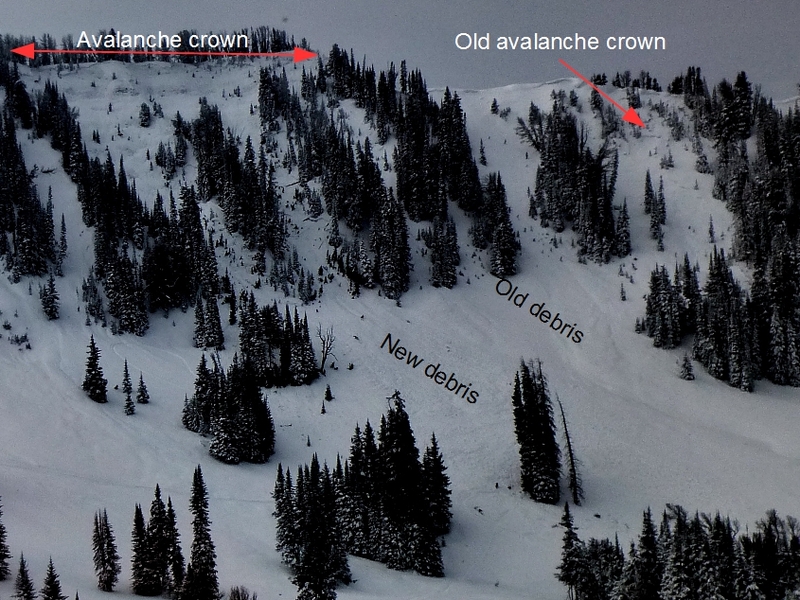 The avalanche danger was rated High on all slopes and an Avalanche Warning had been issued for January 1, 2014. Open the full report in the attached pdf file. Faceted snow near the ground was the obvious weak layer in this avalanche. 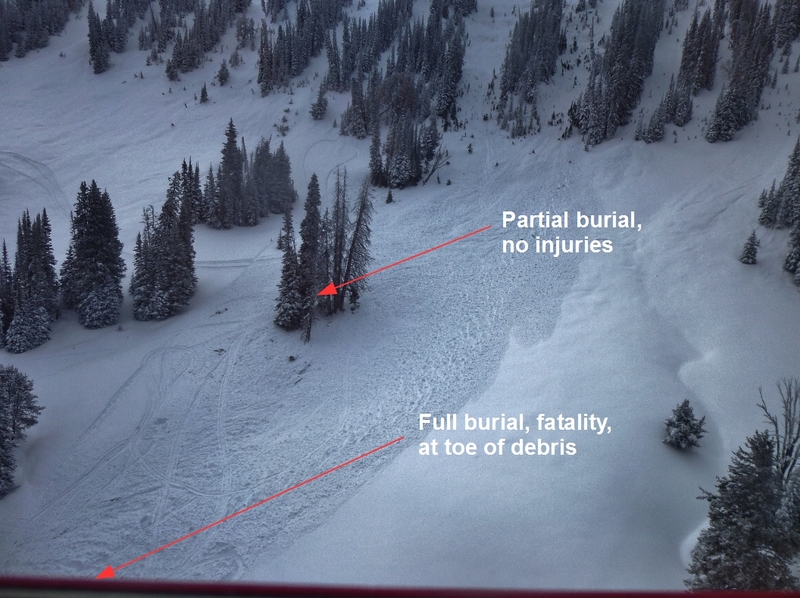 This slide caught two snowmobilers resulting in one fatality. One rider was partially buried in these trees.